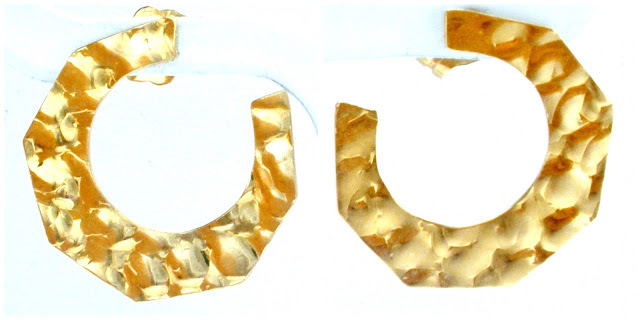 These are wonderful earrings, 14k gold and so comfortable, you wouldn't even know that you have them on. They are 14k gold and are available in my store. 14K yellow gold hammered earrings can be found here.